...my Aunt Margie surprised my cousins and me by inviting us around the dining room table. Years earlier, my Gram handed down a box of old family ornaments that had been passed down to her. The box contained beautifully tarnished orbs, in different shades of antique glass, and my aunt announced that she wanted each of the grandkids to have one of the ornaments for our trees. I was ecstatic! I was so excited to not only have a piece of our family's history, but since we decorate our tree in glass ornaments I knew it would be a perfect addition to our home. To maintain order and fairness (our German ancestors would be proud), the cousins drew numbers and then in the order of our numbers, each selected an ornament to take home. 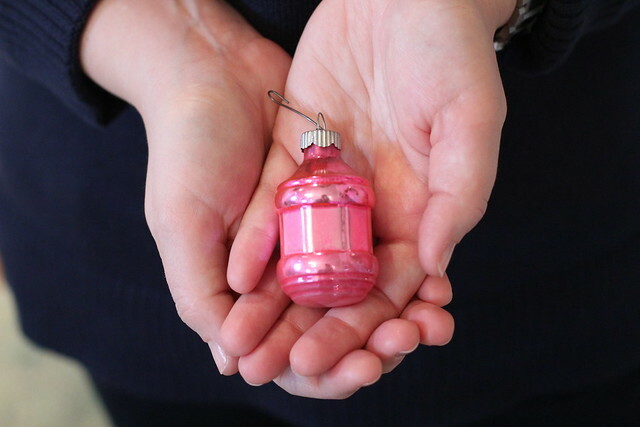 We selected until the ornaments were all claimed, and I ended up with a beautiful pink ornament, smaller in size, with a beautiful old silver cap. As we each admired our picks, I noticed that the original box containing these beautiful ornaments was left behind on the table. I asked my aunt if she had plans for the box, and if not, would she mind if I took the box home with me? Her expression was a bit puzzled at first, but after explaining I had a thought on how to use the box, she smiled and gladly handed it over to me. Fast forward eleven months to the start of this year's holiday season. The box had been safely tucked away in our attic, along with the new ornament, and I was excited to get started on my very simple project. A quick trip to my local craft store resulted in the purchase of a backless picture frame -- the style of frame that you can see through the glass so both the front and back of the framed object is visible. 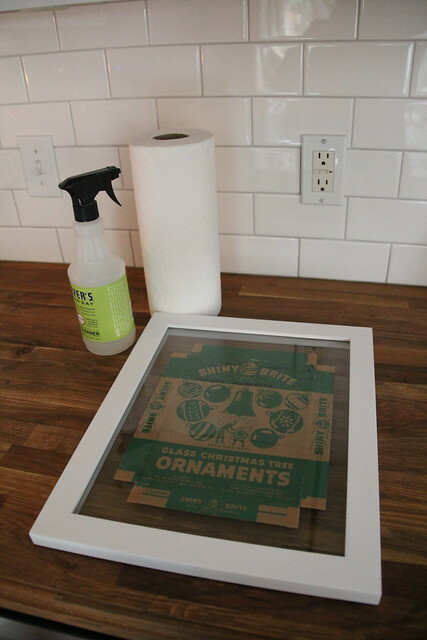 I cleaned the frame with glass cleaner, and then carefully slit each corner of the box lid allowing the lid to lay flat. I sandwiched the lid between the glass, and reassembled the frame. In roughly two minutes I had created framed art that works as a holiday decoration. In light of saying goodbye to my Gram last month, it's even more special now that have a treasured piece of family history that will forever make me think of her during the holidays. While this project (and my new favorite Christmas decoration) cost only $12 for the frame and took a few minutes of my time, it's truly priceless in my book. The ornament itself, in case you're wondering, is proudly displayed front and center. 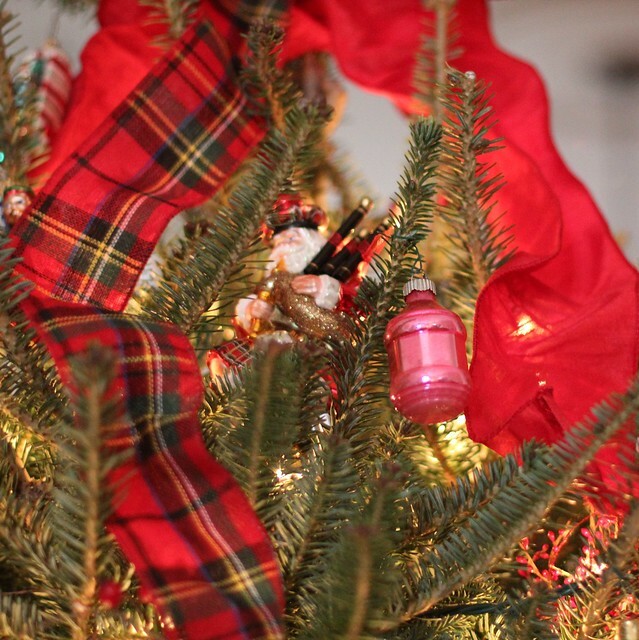 The little pink antique orb is the perfect addition to this year's tree, nestled among other glass ornaments, many of which also trigger a fond memory. 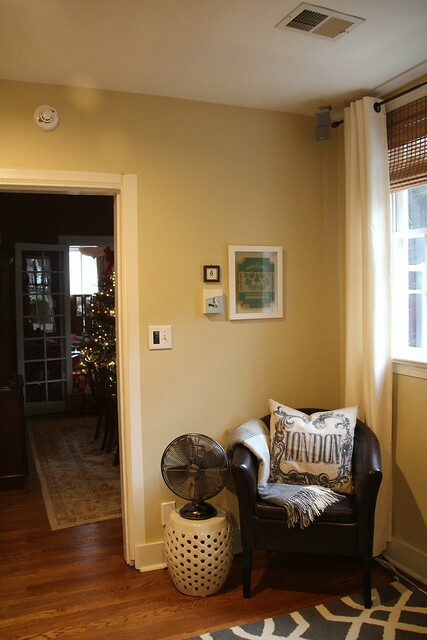 Seeing how much I love how the antique ornament box lid works as season art on our wall, I have my sights set on another similar project for the spring. Alex may hate how cluttered our linen closet has become, but I have another box lid that's been secretly tucked away in that very closet for the last few years. 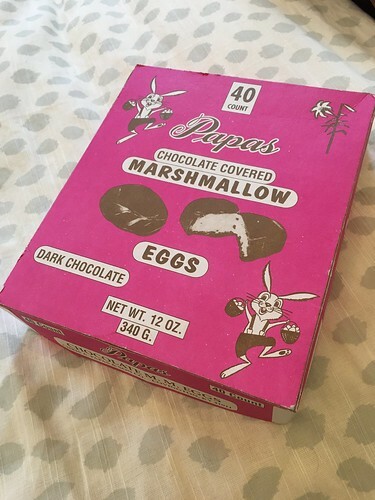 This box lid is from one of my favorite Easter candies that my other grandmother used to buy for us as kids. Those chocolate marshmallow eggs will soon be receiving the same frame treatment so that it can bring a little extra cheer to our springtime. Home and holiday decor doesn't have to cost a lot of money and you don't have to make yourself crazy spending countless hours on Pinterest-inspired crafts. 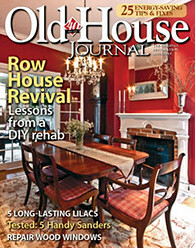 Sometimes the best projects are the simple ones that keep your loved ones top of mind and close at heart. 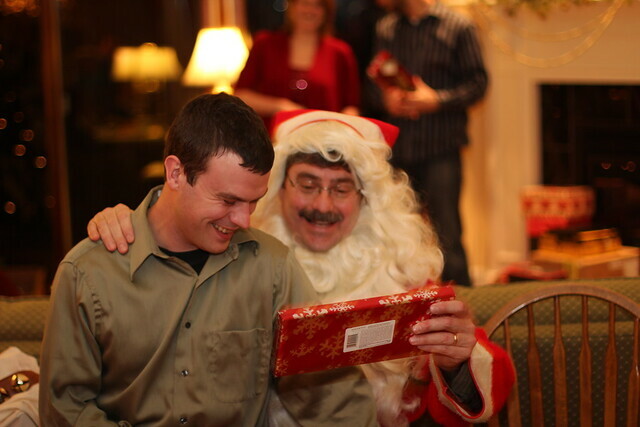 Do you have any special items you put out for the holidays that bring back special memories? Maybe you created something new this year that you know you'll treasure for years to come? 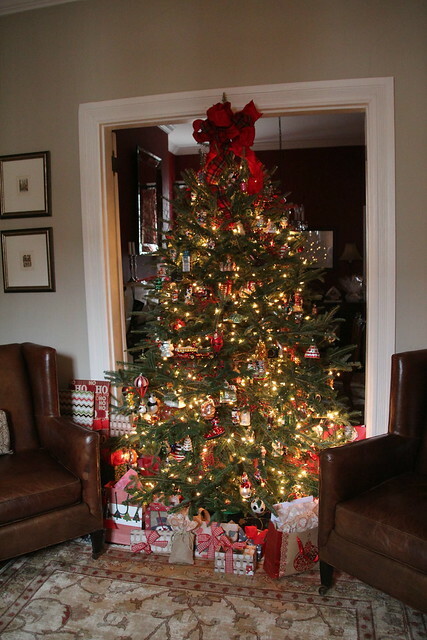 I'd love to hear what keeps you inspired throughout the holidays and beyond. Love the boxtop idea. I have lots of old ornament boxes and will keep this in mind. I have a framed placemat from the Peg Leg Inn in Rockport, Mass., in my dining room. It's a watercolor of the inn, and they now have the image on the website. But when 10-year-old me swiped, er, saved!, the placemat in 1969, the internet was a twinkle in some geek's eye, lol. I've also framed pretty notecards and postcards. I have that same box! 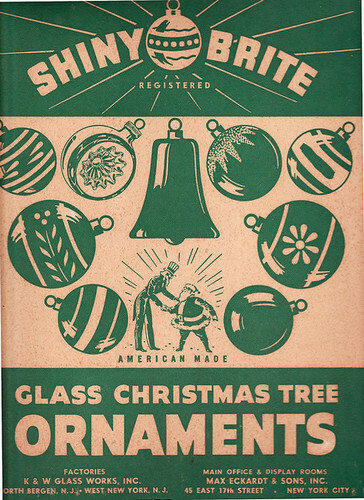 It has similar ornaments I inherited from my father's parents. I'm still using it to hold the ornaments, but honestly it's on its last leg. This is a great idea. i love it, wendy that pink ornament is super-sweet, too. one of my favorite holiday decorations is an old piece of wrapping paper from my father-in-law's attic (which is quite vintage b/c it's wrapping paper that his mom and dad bought once upon a time). 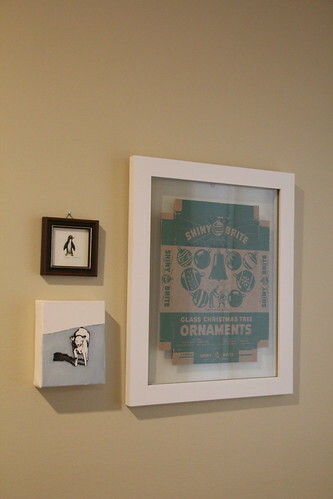 a few years ago, i framed a piece of it in a frame similar to yours, and now i hang it in the dining room every christmas. i like that it has family memories and there's nothing else quite like it! I remember that box from my childhood too! Sadly no ornaments, or box, left. 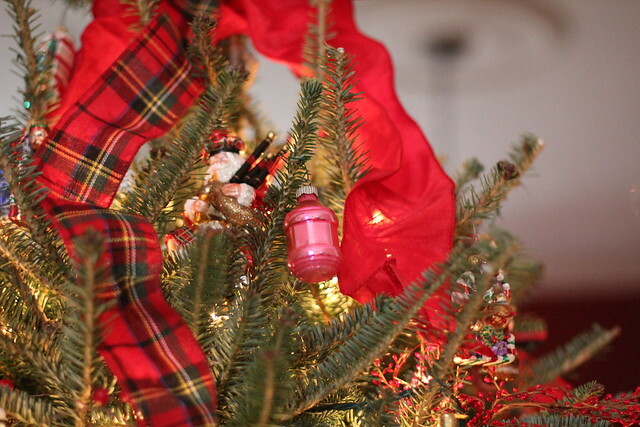 That pink glass one looks perfect for your tree; you chose well. It's heartwarming to know that something you treasured then passed down is treasured by the recipient. I love the fact that you mounted the box. Did you spray it with archival preservative so it will not turn yellow? Also, is that glass the kind that will help protect it. Now that it is out of the attic, it is exposed to a lot of destructive light. The ornament is in excellent condition and beautiful. Uncle Sam shaking hands with Santa Claus. Wild! Love it! Both the aesthetic and sentimental value. I have some family ornaments like that, too! Means so much to treasure those memories. Keeps the magic in Christmas!